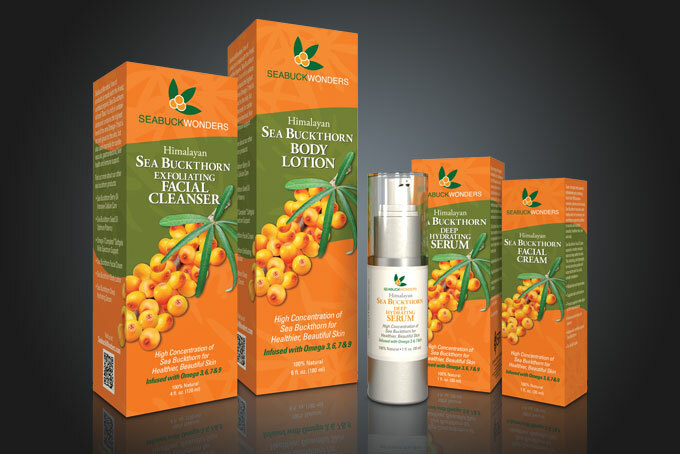 Seabuck Wonders, Inc. - Babilon Arts, Inc.
Seabuck Wonders was the first company to introduce sea buckthorn to United States consumers back in 1994. They have close to 20 years of experience producing the highest quality Sea Buckthorn products known in the world. Seabuck Wonders maintains the highest of standards for ALL of their products by using only pure Himalayan, wild-grown, handpicked, USDA certified organic Sea Buckthorn berries. This high standard ensures their customers consistent quality whenever they reach for the Seabuck Wonders name! When Seabuck Wonders approached us they had two areas of concern. The first was the look of their product packaging. They were getting ready to launch a substantial marketing campaign to increase their sales both in stores and online. Having been the original Sea Buckthorn company their look was outdated and needed to compete with the new Sea Buckthorn products appearing on the market. Their second area of concern was developing a modern website with complete e-commerce functionality to enable them to expand their sales online. The website had to accommodate large amounts of content, be easy to navigate and provide the client a clear and easy way to update their content. The goal for the redesign of Seabuck Wonders packaging was to have a design that can be on the shelves for years to come as well as have a recognizable look and feel that could be easily picked out by the consumer. The look needed to be new, refreshing and incorporate the Seabuck Wonders logo. We decided to keep a predominately orange and green look even though their direct competitors carried a similar color scheme. The challenge was to be unique and stand out from the rest. We designed a custom illustration of a Sea Buckthorn leaf and berries. This would be a main feature on the skin care boxes and supplement labels. We also developed a bright color scheme and leaf pattern that would be applied to all packaging as well as website and collateral later on. For the skin care products we designed a simplified look to maintain a clean luxurious appearance. Once we had a clear grasp of the packaging design we began to design and development their e-commerce website. The first step was to move their website platform in to a wordpress site. This enabled us to provide the client with better functionality in both their shopping cart and data management as well as create an easy solution to updating their content. The next steps were to apply this new brand to ad designs, booth graphics, and collateral materials. We are proud to have been a part of the Seabuck Wonders team and look forward to continue to provide design solutions for them and their sister companies.